A heads up, I just got some new flashes to test from GPB the distributor of Nissin flashes in South Africa. 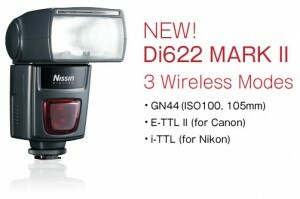 Among the three units we have to review is the recently launched Di622 Mark II with support for Wireless TTL. Looking forward to testing this plus the Di866 and Di466.